An invitation to take lunch at the Great Western Hotel at Paddington station leads Sherlock Holmes into a baffling mystery. Who is it that is watching every move made by popular journalist Farringdon Blake, and why? 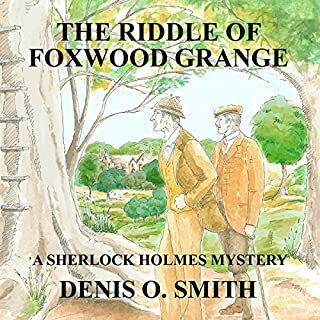 When the trail goes cold in London, Holmes and his friend, Dr. Watson, must travel down to Foxwood Grange, Blake's home in rural Oxfordshire, to seek a solution to the mystery there. Holmes and Watson are handed the challenge of solving the London Tarot Murders, a dark episode which, to quote Dr. Watson's in his memoirs, "occupies a lofty place in the annals of all black deeds ever committed in the long memory of the ancient, regal city, higher even than the infamous affair with the Ripper." 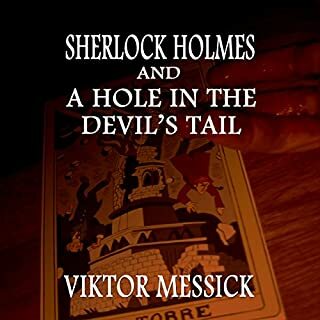 I enjoyed this short story, featuring our beloved Sherlock Holmes. The story was well written and the mystery was keeping me interested. 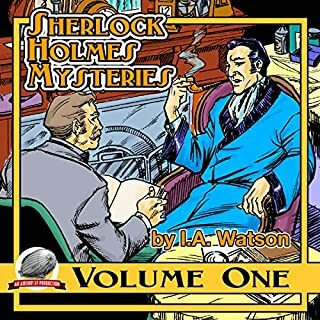 The author managed to catch some of the atmosphere which I found in the original Sherlock Holmes stories. The narrator was excellent. Crashing trains and prison breaks! Oh, my! While this story started off a little cliched (a woman needs Holmes’s help in finding her missing husband), the story definitely took off with some originality. 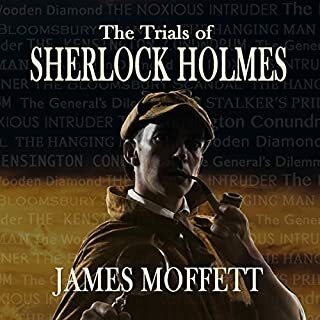 Holmes and Watson are always a worthy duo and this story stays true to the original stories. 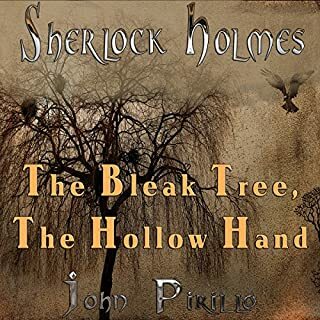 I felt this was a very good addition to the world of Sherlock Holmes. Several of my favorite scenes took place on the train. Watson and Holmes are still unwinding this mystery even as they travel. Then tragedy is about to strike the train and Holmes uses his own body to save a woman from a very serious injury. I could just imagine what was going through her mind as she initially had no idea what was to befall the train and the passengers. Then in the aftermath, Watson does what he can for the injured. He has to work quickly to save a man’s leg even if it causes him great pain. The mystery itself was good though I did feel some of the clues were pretty obvious. Several of them were presented as non sequiturs so they really stood out. I really liked the chilling conversation Holmes has with the last standing culprit at the end. I can see that villain becoming a real thorn in Holmes’s side in future adventures. As is almost universally so for Sherlock Holmes tales, the ladies are few and far between and have very limited roles. They are comforters, love interests, or providers of food. While this story did give the ladies names and lines, I still felt they didn’t add much to the plot. Despite this issue that plagues Holmes & Watson stories, I still really enjoyed this tale. 4.5/5 stars. 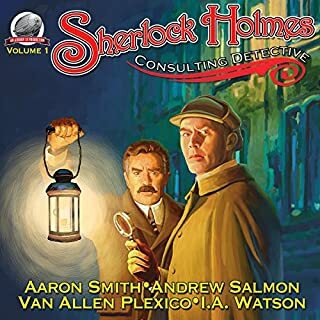 The Narration: Ben Werling had great voices for Holmes and Watson. They were distinct but also sounded like the men I was expecting. Watson sounds like the more compassionate of the two yet can be decisive in an emergency. Holmes sounded a little bored or arrogant depending on the situation. Werling’s female voices could have used a touch more femininity. There were no issues with the sound recording. 4.5/5 stars. True to the style you'd expect from Sherlock Holmes mystery. Werling did an amazing job with the narration. Highly recommended. the storyline itself isn't bad. but Watson calling their rooms "digs" (a slang term only since 1893?) I'm adding "literary flourish"? I'm not a Holmes expert, but the diction just didn't sound like Watson. The narration didn't sound like Watson either. the behavior was just "off enough" to be jarring. And spoiler alert -- can anyone really believe Holmes would be totally unaware of Moriarty's personal life? The story would have been better if it had been presented as two other detectives. 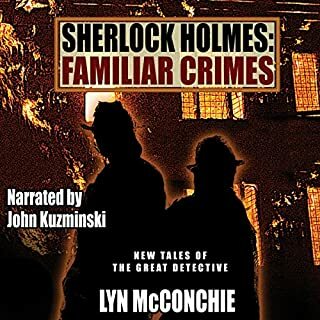 I've read or listened to a number of "Holmes" stories not written by Doyle, and I've heard and read better. Very fun story with an extremely well matched narration. Perfect voice for this material with a subtle, yet distinct cast of characters. 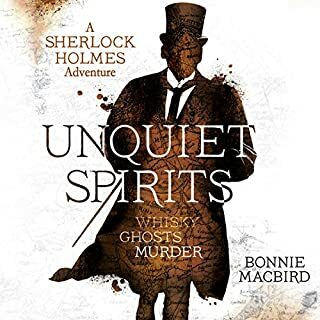 Really enjoyed reading/hearing a new Holmes and Watson mystery! 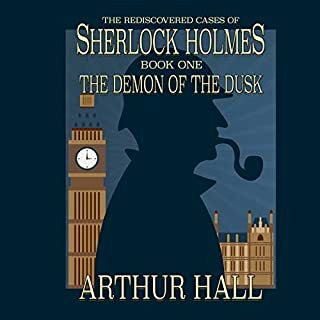 Sherlock Holmes is one of the most famous and best-loved fictional detectives and his companion, Dr. John Watson, is a most worthy sounding board for the great man. Actually, he's not so much a sounding board as a receptacle for Sherlock's musings and conclusions. Watson is, in fact, his ghostwriter and, to me, much the more accessible of the two. 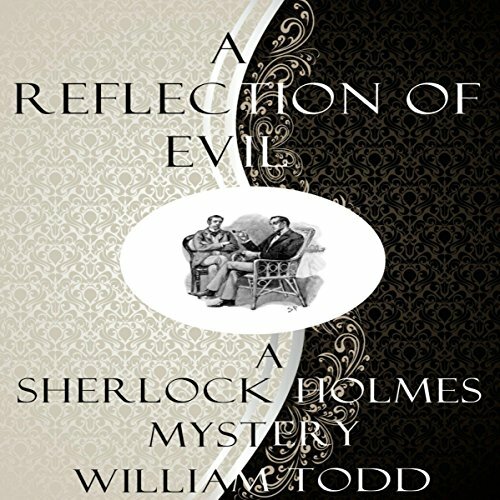 A Reflection of Evil fits quite nicely into the Sherlock Holmes pastiche and Mr. Todd has a good eye for Sir Arthur Conan Doyle's style and his characterizations. 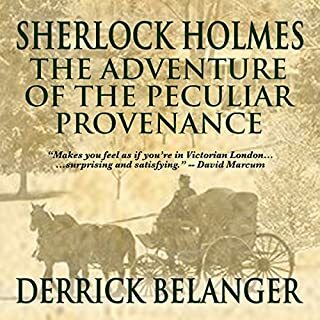 The woman who first engages Holmes and whom he sees through instantly is as negligible as Doyle's female characters usually are but you can't take umbrage when that's precisely the way females were nearly always depicted in his work. 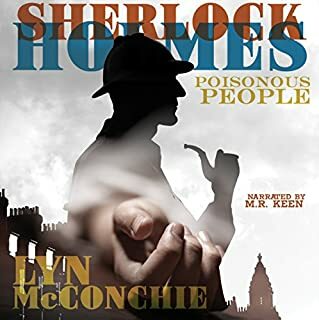 She's a raisond'etre, if you will, and a request for assistance from LeStrade when convicts escape a prison, serendipitously near the town in Wales where the woman asked him to go, gives Holmes and Watson good reason to board a train for Swansea. It soon becomes apparent that one of the escapees has it in for Holmes. 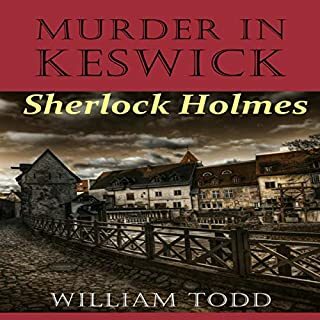 With a good balance of introspection and action, including a need for Watson to put his doctorly skills to work, Holmes soon knows the truth and a new criminal opponent has been discovered albeit in somewhat predictable fashion. We clearly will encounter this villain in future stories and of that I'm very glad. Ben Werling is an almost ideal voice for this story and I say almost only because of one flaw. Mr. Werling's tone and pacing are ideal but he's not quite as good at differentiating all characters as I would like him to be. Still, I will happily listen to him again.